The responsibility for selection of library materials is designed to build a strong, usable, and well-balanced collection rests with the director/head librarian operating within the framework of policies and objectives determined by the library board. The library will provide any materials which help to meet its objectives. Materials may include, but are not limited to the following: Books, periodicals, newspapers, CD’s, audio books and DVD’s. Materials acquired will meet high standards of quality content, expression, and format. The library does not promote particular beliefs or views, but will provide resources with which an individual may freely examine issues and arrive at his/her own decision. 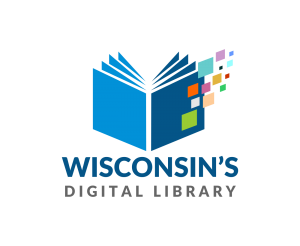 The library will keep itself informed of other publicly available resources of books and other materials in the geographic area to avoid unnecessary duplication. The public library has materials for self-study, but it is not primarily designed to furnish materials required for academic study. All materials except for those which are in special demand and/or cannot be duplicated/replaced will be lent for home use under library regulations and procedures. The library also subscribes to the Library Bill of Rights of the American Library Association. The library also subscribes to the Freedom to Read statement prepared by the American Library Association and the American Book Publisher’s Council. Discarded books and other materials may be disposed of as the head librarian sees fit. Points to be considered for adult book selection are literary, educational, informational, and recreational value; effectiveness of presentation; qualities conducive to critical thought and understanding; and authenticity. Contemporary and popular authors and artists, and subjects are included, as well as those which have demonstrated enduring worth. This same criteria shall apply to the selection of audio books, films and other materials. Titles written specifically for the young adult are to be naturally included. Since this age group has a variety of reading interests, abilities, and personal backgrounds, the books selected for them will provide a variety of content and reading ability. Specific subjects appealing to teenagers, such as social problems, love, and contemporary trends, are to be included with the hope that they will lead to continued reading in later years. The basic policy for juvenile book selection is to purchase the best current books and to replace and/or duplicate old titles which have proven their value. Books are to be provided for the reluctant, average, and gifted reader in all stages of development, from the emerging reader to the young adult. Selection should cover all fields: recreational, inspirational, and informational, covering a wide range of knowledge which will satisfy the child’s natural curiosity and widen his/her interests. A variety of magazines shall be provided to cover a wide range of subject interests and age levels. The titles offered by the library shall be reviewed annually to examine usage and to justify need. Specialty magazines may be offered based upon patron demand. It is the goal of the library to offer a wide variety of music to serve the educational and recreational desires of our patrons. Classic artists and selections will be provided, as well as specialty selections to aid educational and specific needs. Music of current interest shall also be offered, especially to serve the young adult patrons of the library. Favorite stories, legends, and songs shall be considered when selecting music for juvenile users. Movie titles will be selected to offer a wide variety for adult, young adults, and children. For recreational movies, selection emphasis will be placed upon titles which have been proven to have lasting appeal or value.